The last image, taken earlier this week (on May 17), shows the coastal areas currently at risk from the spreading oil, and can help those working on the wide range of relief efforts. 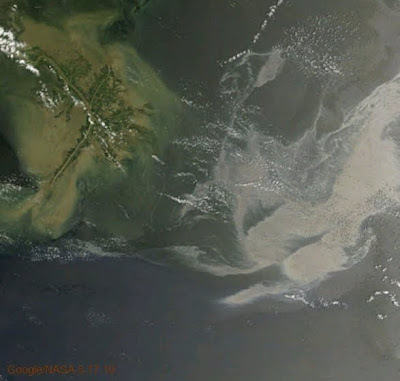 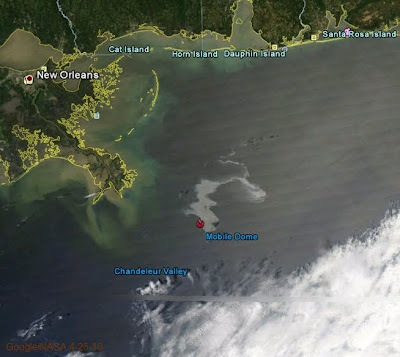 You can view this and other MODIS imagery in Google Earth by downloading this KML. 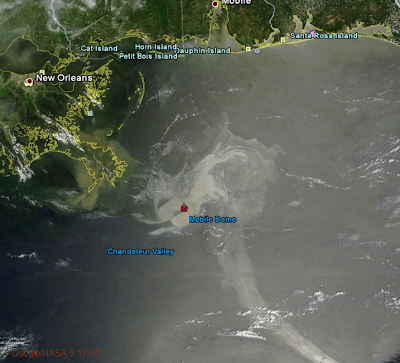 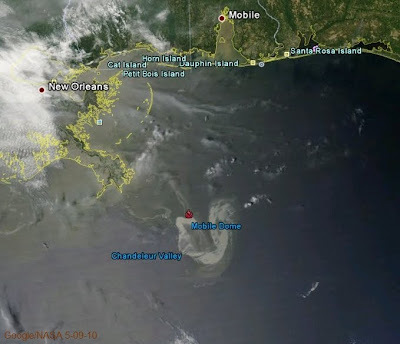 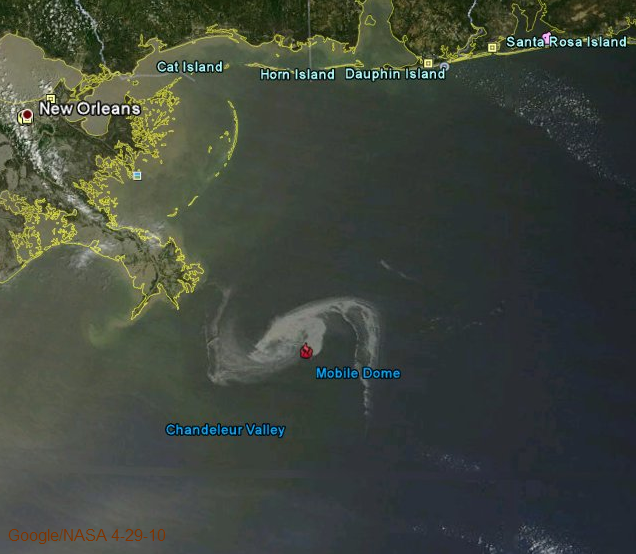 You can also view additional imagery and find other resources and news at our oil spill crisis response page.